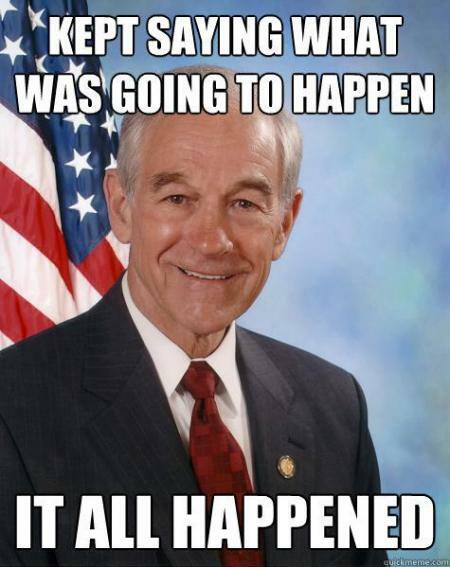 RON PAUL HAS ALREADY BEEN ELECTED 12 TIMES AS U.S. 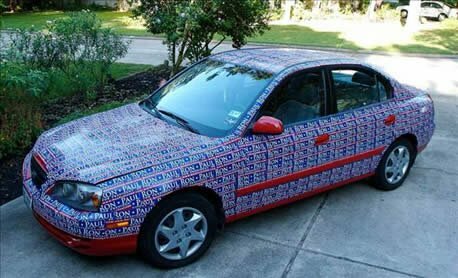 CONGRESSMAN OF TEXAS !!!! WHAT DO YOU THINK ???? 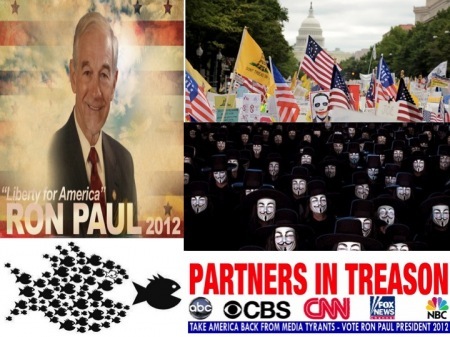 BETTER QUESTION IS DOES CNN AND THE MASS MEDIA MANIPULATION BIAS SPIN PROPAGANDA HAVE POLITICAL AGENDAS AGAINST RON PAUL ???? SPIKING SURGING EXPLODING TRENDING PROOF POSITIVE #1 @ WEBSITES FACEBOOK TWITTER GOOGLE YOUTUBE YAHOO SOLDIERS BLOGS MEDIA DRUDGE & POLLS @ 30 MILLION ++ !!!! 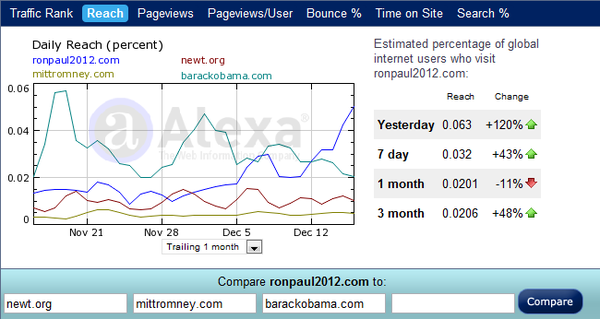 RON PAUL’S WEBSITE RANKED #1 on reach, traffic and page views between all candidates including NObama. SPIKING SURGING EXPLODING TRENDING PROOF POSITIVE #1 @ FACEBOOK TWITTER GOOGLE YOUTUBE YAHOO SOLDIERS BLOGS MEDIA DRUDGE & POLLS @ 30 MILLION ++ !!!! 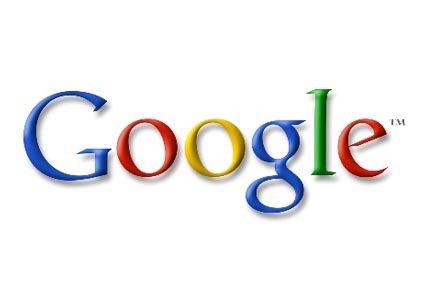 WHO’S TRENDING PROOF POSITIVE #1 @ TWITTER, GOOGLE, YOUTUBE, SOLDIERS, BLOGS, MEDIA, DRUDGE & POLLS @ 30 MILLION ++ !!!! 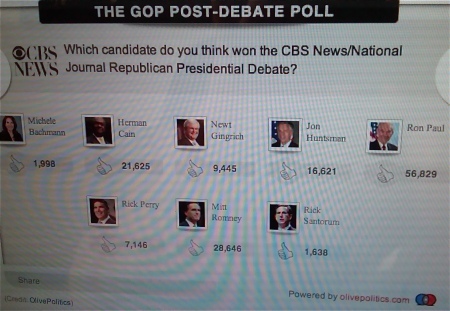 Ron Paul #1 Youtube @ 30 MILLION VIEWS for GOP, GOOGLE STATS & CBS POLL !!! 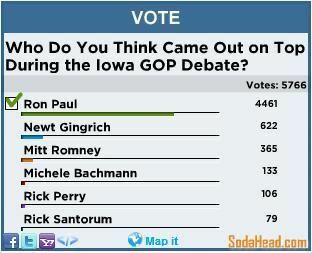 Ron Paul: Has The Most YouTube GOP Views With Over 30 Million! 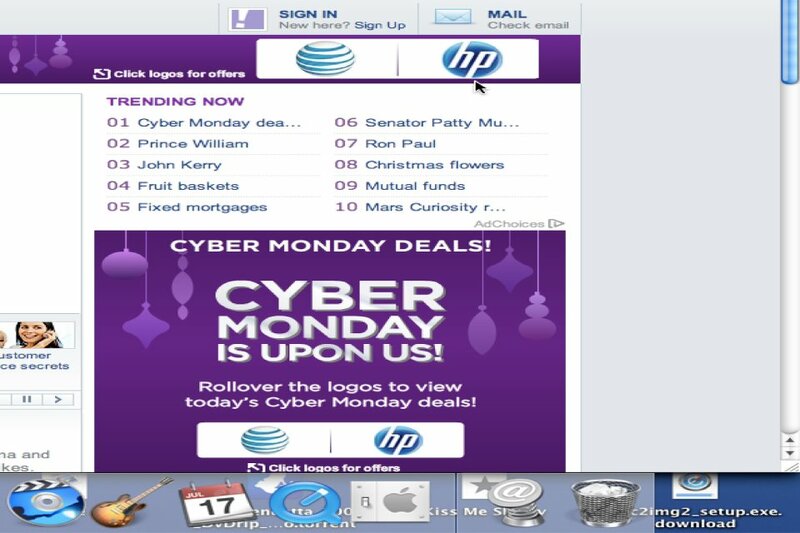 This clip took place on MSNBC on November 8th, 2011. 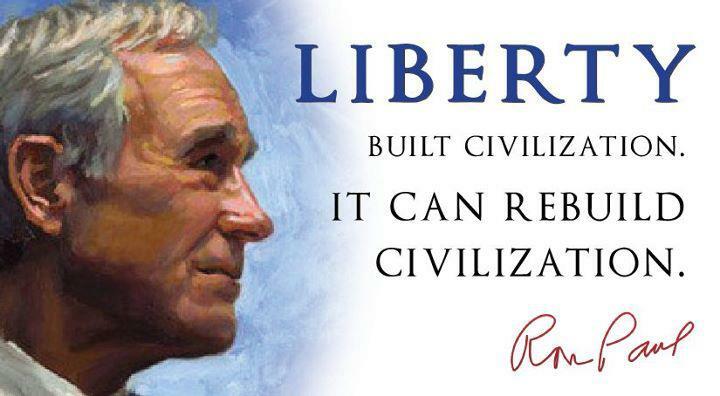 RON PAUL #1 TWITTER POSITIVE TRENDING !!!! 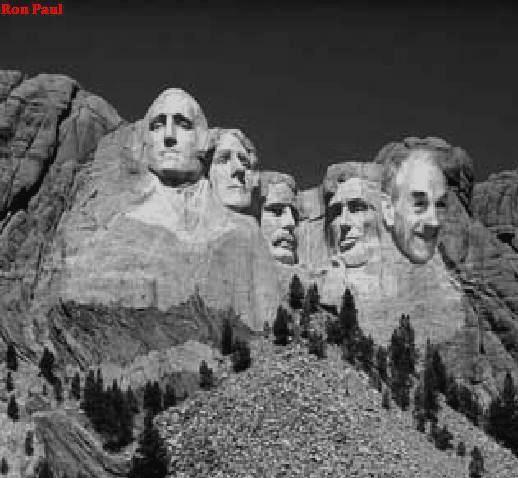 NEW YORK — Ron Paul’s never garnered as much media attention as other Republican presidential candidates, even after placing second in the Ames Straw Poll and remaining at the top of the pack in Iowa. 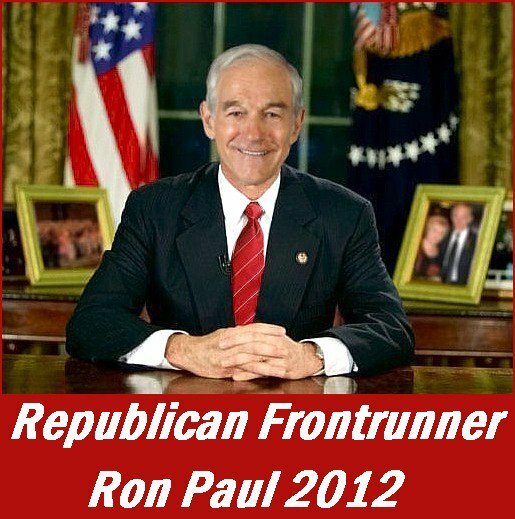 And when Paul’s name does come up on cable news chats, it’s often in the context of being unelectable or a fringe candidate. 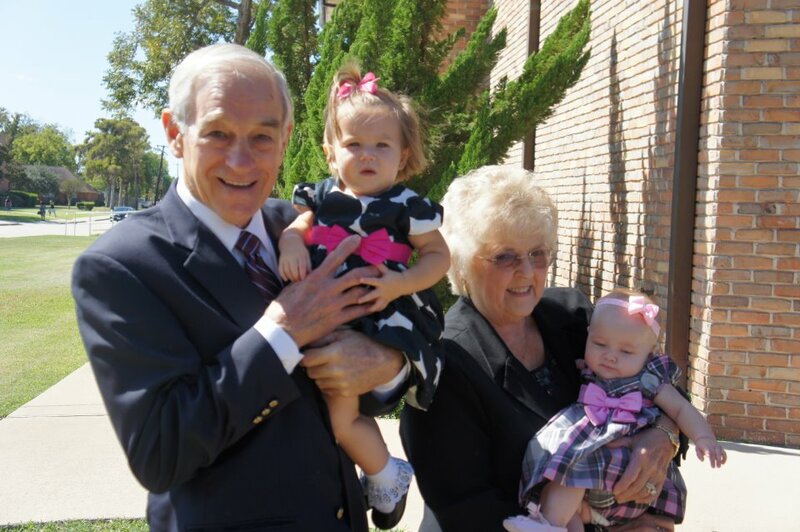 For Paul, who’s long enjoyed a strong following online, the social media conversation has been much kinder than the national media’s coverage. Pew’s Project for Excellence for Journalism, in a new study analyzing more than 20 million election-related tweets from May through November, found that Paul “fared far better” than any other Republican candidate. 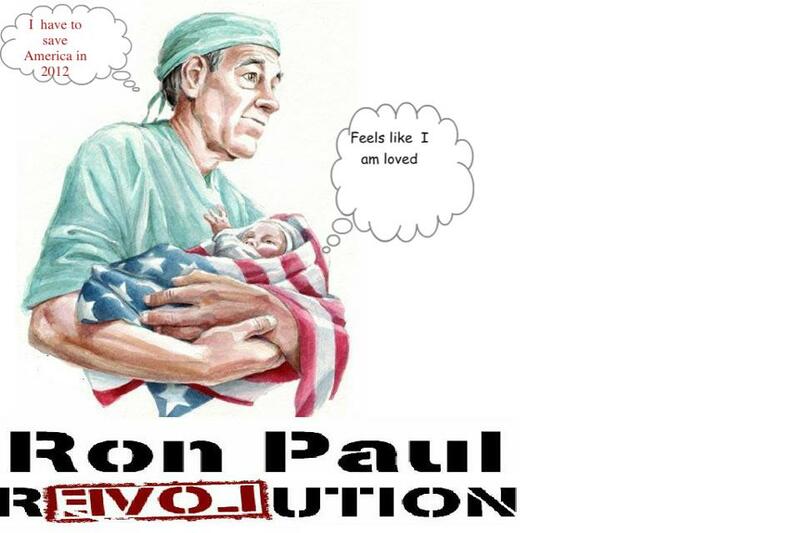 Paul was referred to positively in 55 percent of the 1.1 million assessments about him on Twitter studied during this period. Only 15 percent of those assessments were negative, and 30 percent were neutral. 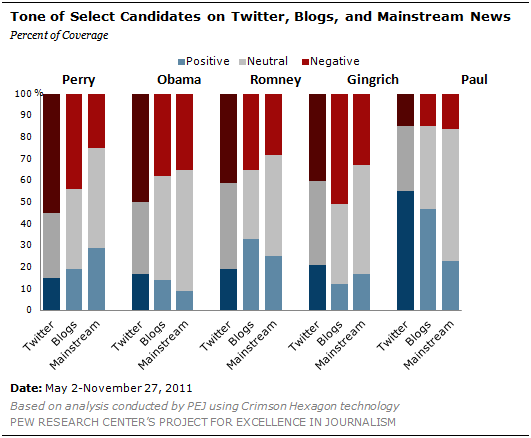 The “Twitter and the Campaign” study combined PEJ staffers’ traditional news analysis — which factors into each weekly Pew study — along with Crimson Hexagon’s computer algorithmic technology. Clearly, a handful of researchers couldn’t comb through the Twitter’s public “Firehose” data feed, which includes roughly 140 million tweets daily. So researchers examined a sample of tweets before coding, with the computer picking up on word patterns in tweets to determine if the candidate assessment was positive, negative or neutral. Although Paul received the most positive response, he wasn’t the most talked about overall on the social media platform. 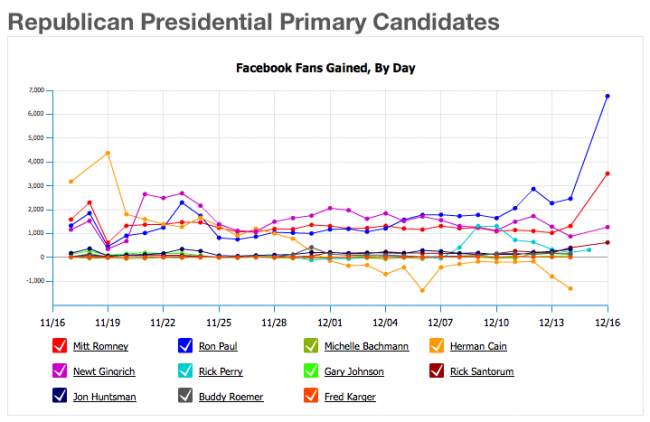 Former Republican candidate Herman Cain — who the study found received the most U.S. media attention of any Republican candidate over the past seven weeks — came in first with 2.2 million assessments, albeit more negative than Paul’s. 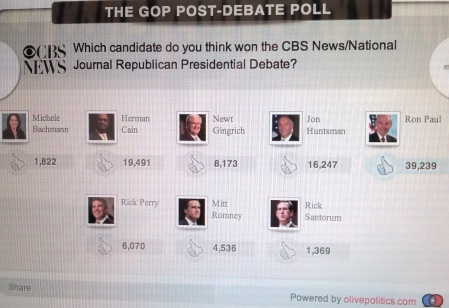 Still, Republican candidates didn’t get nearly as many assessments as the man they hope to replace. But Obama also faced a lot of criticism from Twitter users. Of Obama’s 15 million assessments, the study found that the negative outweighed the positive 3-1. And yet, the study also noted that “Obama’s most sharply negative assessment has come from the news media, not social media,” echoing a previous study from October. PEJ’s full report, including analysis of how Twitter assessments of candidates differed from the blogosphere and news media, can be found here. 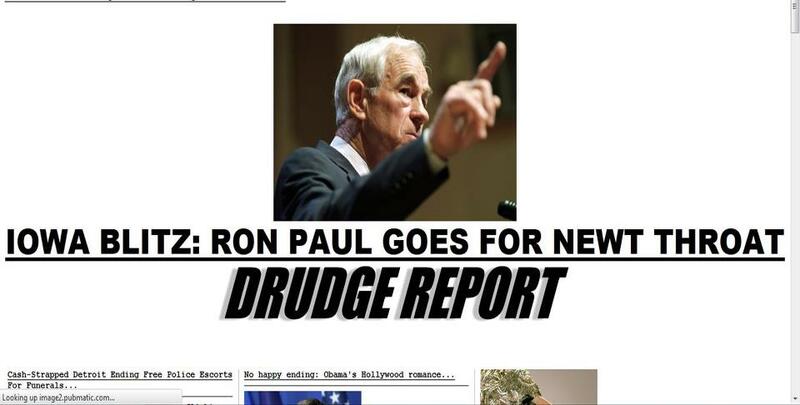 WHO’S NOW TRENDING ON DRUDGE REPORT !!!! AMERICAN SOLDIERS HAVE PLACED THEIR BETS AGAIN !!!! JUST BRING THEM HOME !!! 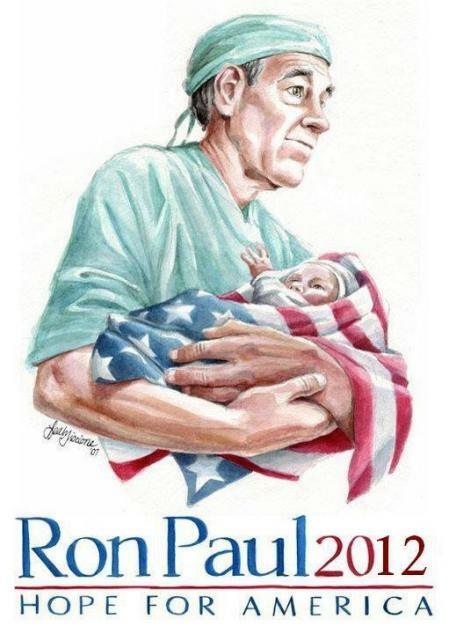 Ron Paul 2012 !!!! 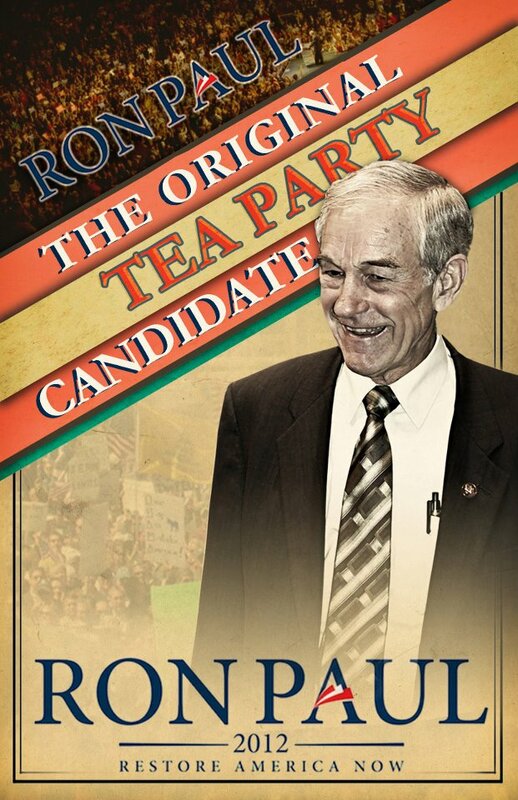 The Father of and Presidential Candidate of The Tea Party – Ron Paul 2012 link:!!! 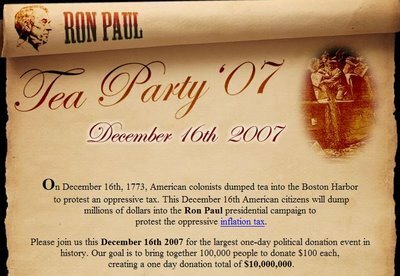 News footage from 2007 mixed with other video that documents the origin of the modern day Tea Party movement and those responsible for it. 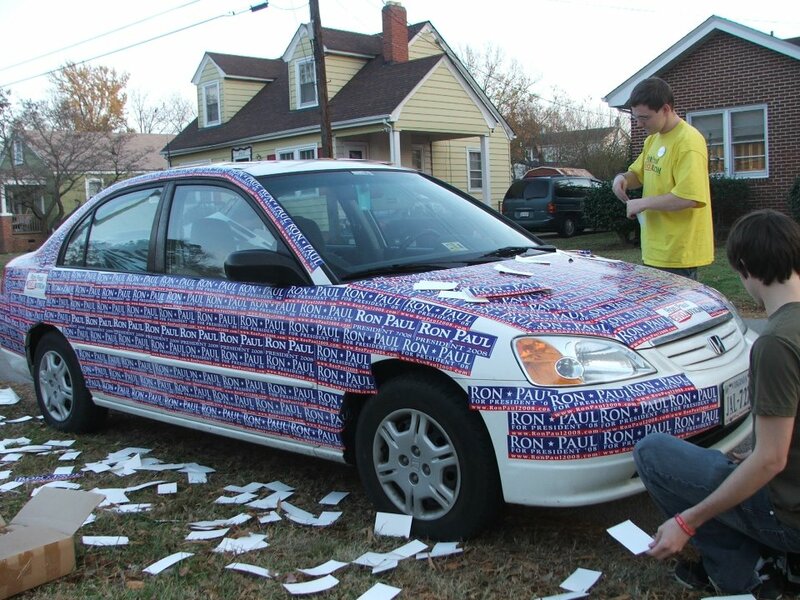 It was started in 2007 from the grassroots by Ron Paul supporters for his 2008 Presidential Campaign. 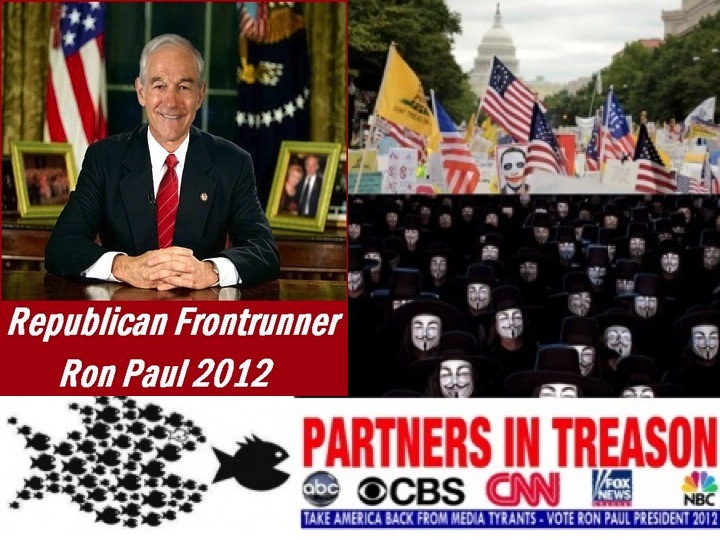 After gaining momentum it was co-opted by certain Republicans with help from Fox News and other corporate entities. 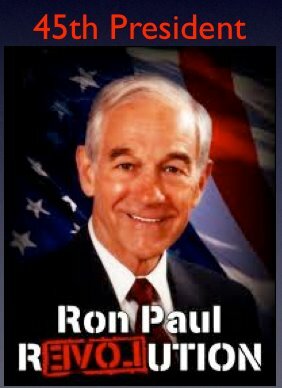 It’s no longer the spontaneous decentralized movement that it once was though Ron Paul’s message of limited government and a return to the Constitution is still at it’s core. 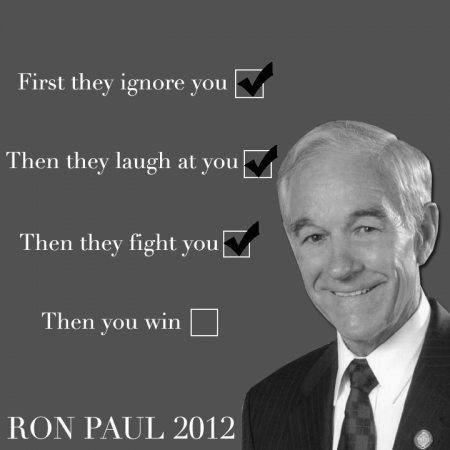 WHO IS RON PAUL !!! 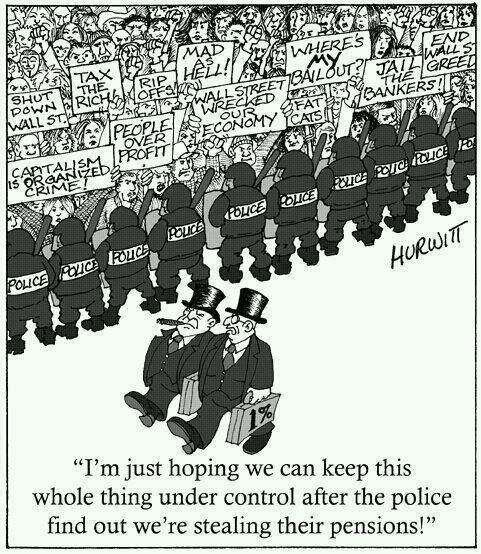 Shame on ya’ll for your sheeple herd IMPERIAL EMPIRE MILITARY INDUSTRIAL COMPLEX WARS PROFITEERS AGENDAS. 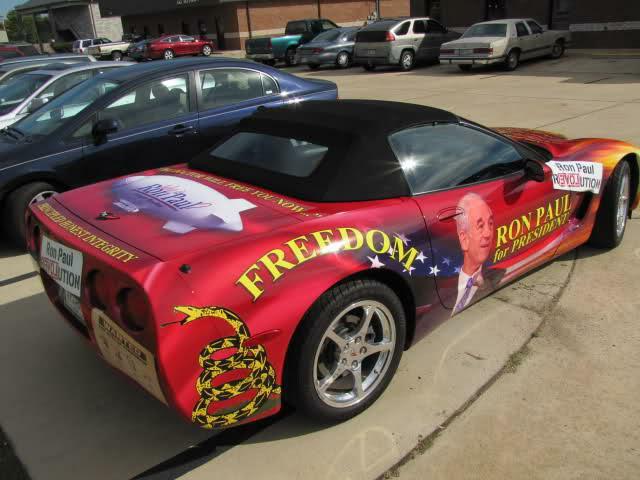 Who is the Founding FATHER of The Unadulterated True Tea Party ? 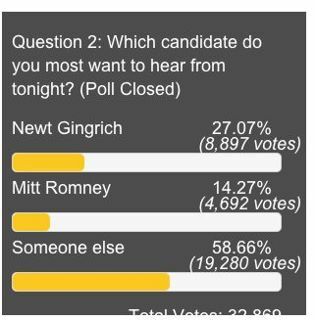 Who is Newt Gingrich ? 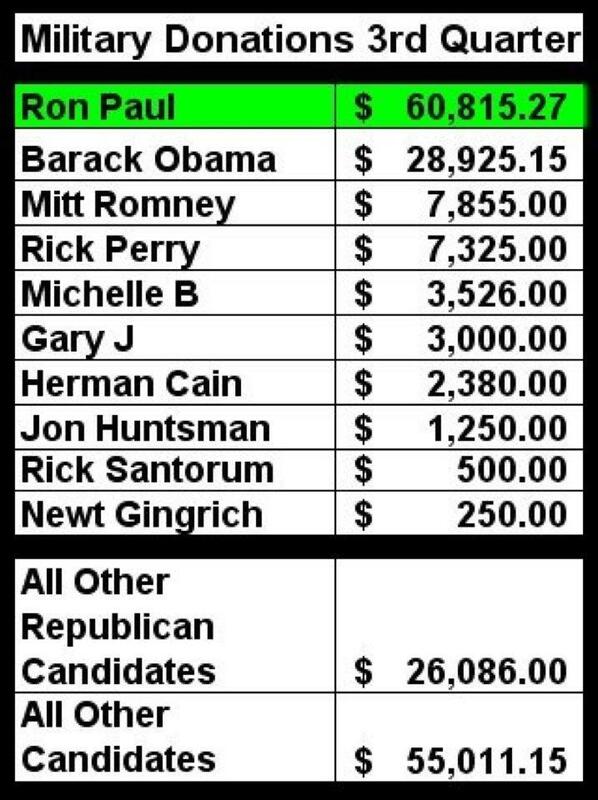 Who is Ron Paul, Romney, Perry & Gingrich ? 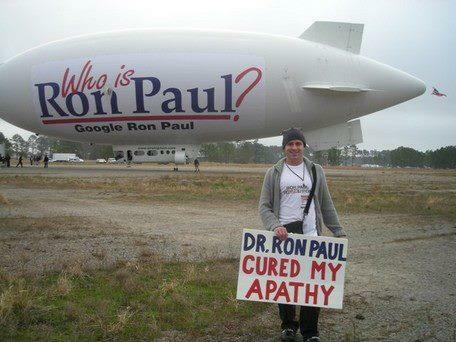 RON PAUL Songs, Blimps, Limos, Planes, Trucks, Floats, Parades, Cars, Blogs, Billboards, Banners, Movies, Excitement, Energy & Enthusiasm !!! 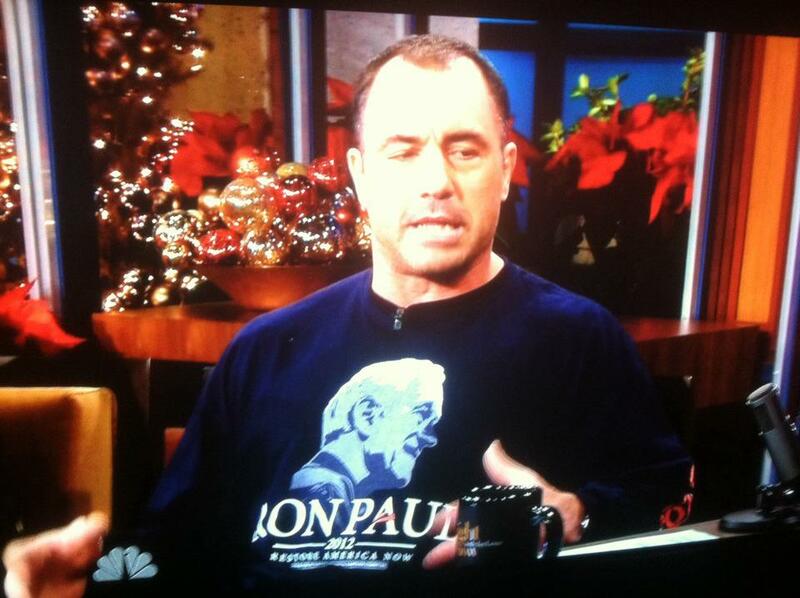 RON PAUL Jay Leno Joe Rogan @ the Tonight Show Dec 16 !!! 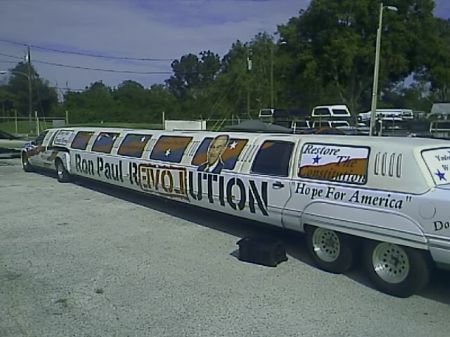 RON PAUL Songs, Blimps, Limos, Planes, Trucks, Floats, Parades, Cars, Blogs, Billboards, Banners, Movies, Excitement, Energy & Enthusiasm !!! 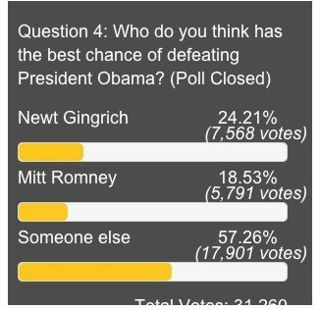 SURGING & TRENDING PROOF POSITIVE #1 @ TWITTER, GOOGLE, YOUTUBE, SOLDIERS, BLOGS, MEDIA, DRUDGE & POLLS @ 30 MILLION ++ !!! 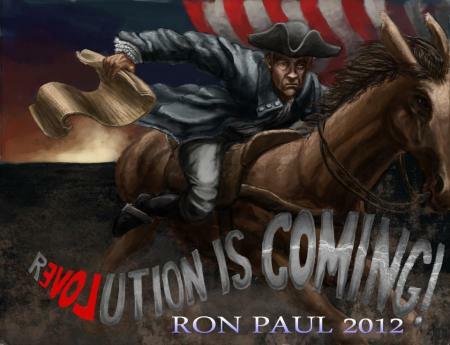 SURGING & TRENDING PROOF POSITIVE #1 @ TWITTER, GOOGLE, YOUTUBE, SOLDIERS, BLOGS, MEDIA, DRUDGE & POLLS @ 30 MILLION ++ !!! 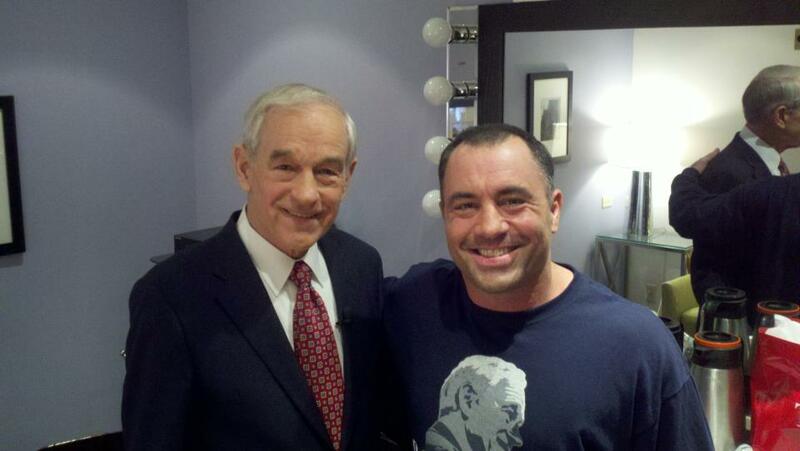 Ron Paul BACKSTAGE @ Jay Leno Tonight Show !!! 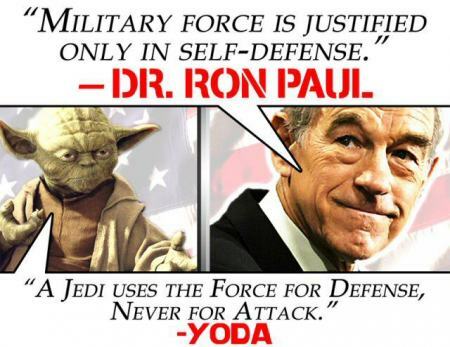 Visit RonPaulFlix.com for more Ron Paul videos. 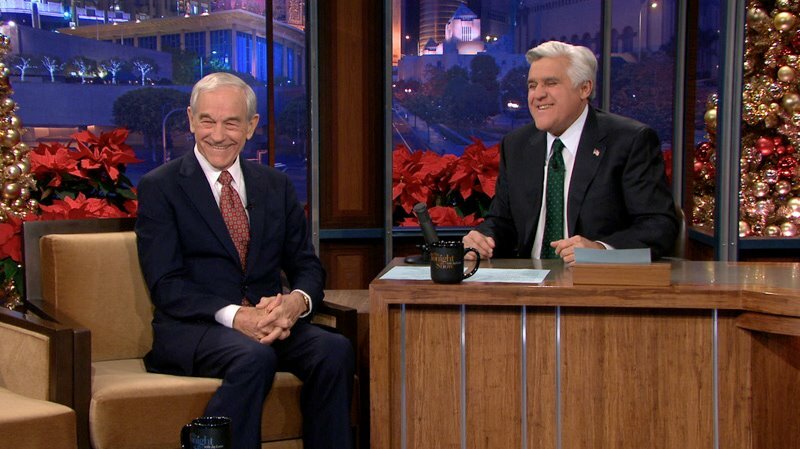 Ron Paul interviewed by Bryan Branly after Paul’s interview with Jay Leno on December 16, 2011. 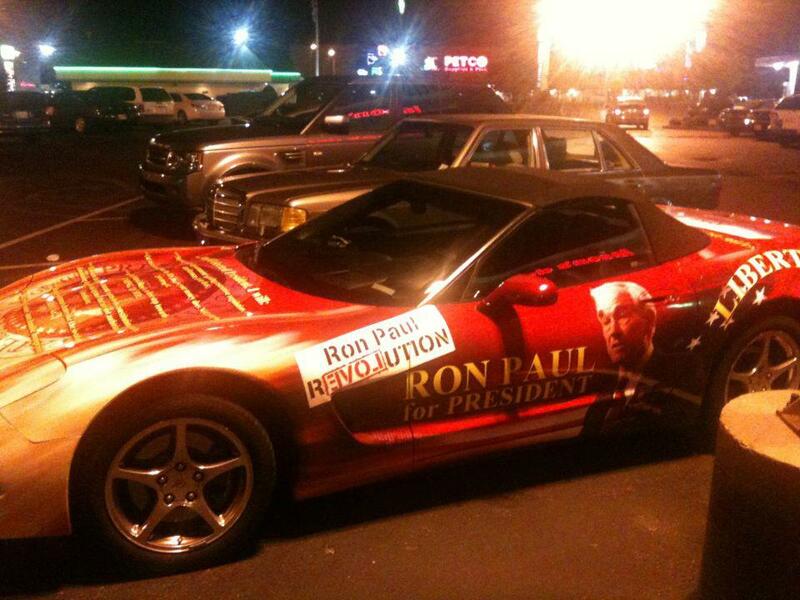 RALLY FOR RON PAUL OUTSIDE THE JAY LENO TONIGHT SHOW !!! Rally for Ron Paul outside the Tonight Show with Jay Leno, featuring the band Golden State. Rally in front of NBC Studios in Burbank, CA for Ron Paul’s visit to the Jay Leno Show on Dec. 16th, 2011. 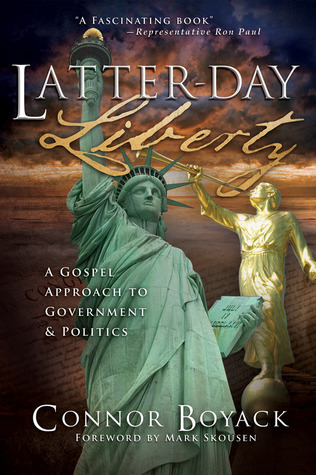 Featuring a surprise performance from the band Golden State, playing an acoustic version of their song “Bombs” (The Ron Paul Song). Thanks to all the grassroots supporters in Los Angeles who made this video possible. 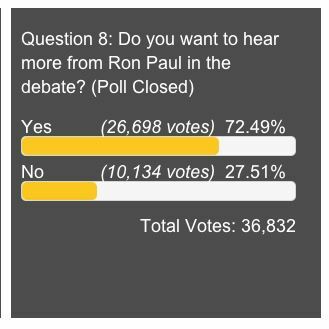 California loves Ron Paul! 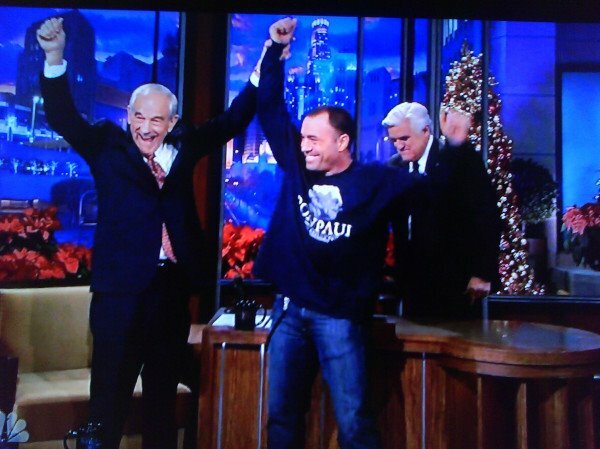 RON PAUL Jay Leno Joe Rogan @ The Tonight Show !!! “CNN is owned by Times Warner who’s CEO Jeffery L. Bewkes is a director of the Council on Foreign Relations and also serves on the board of Yale University. Also affiliated with Yale and CNN are Anderson Cooper and David Gergen. Anderson Cooper spent time interning, during his summer breaks in his sophomore and junior years at Yale, at the CIA. Cooper is the son of Gloria Vanderbilt and the great-great-great-grandson of Cornelius Vanderbilt. It was J.P. Morgan, Rockefeller and Vanderbilt who developed Jekyll Island, where the Wall Street elite developed the plan to launch the Federal Reserve. Cooper is also a member of the Manuscript Society (aka The Wrexham Foundation). The Manuscript Society is a secret society at Yale University, like Skull & Bones. The society holds an annual gathering in its tomb on Halloween. Pat, contact him direct is fine. Otherwise, I’ll let you know of his source as soon as he responds. 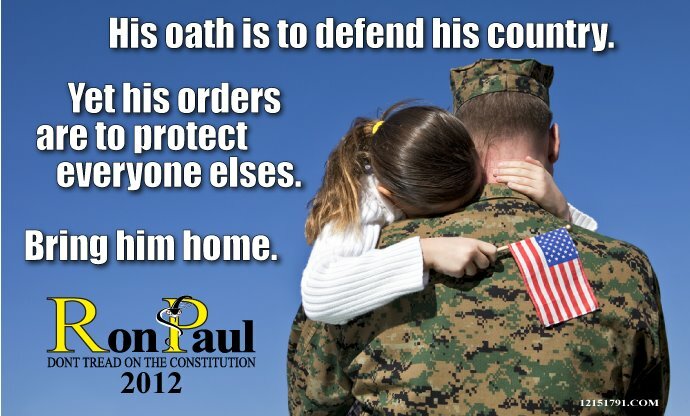 Have you been following NDAA S1867 HR1540 Section 1031E-1032 ? Remember the WW2 Japanese Concentration Camps in USA ? Merry Late Christmas & Happy New Year 2012 !!!!! Keep Your Powder Dry & Buckle UP !!! Let me know how I might help. USA Without PRESIDENT RON PAUL 2012 !!! 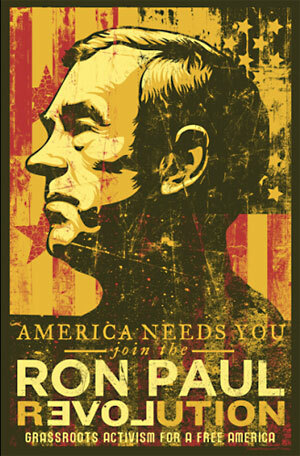 RON PAUL TV 24/7 STREAMING LIVE NOW !!! 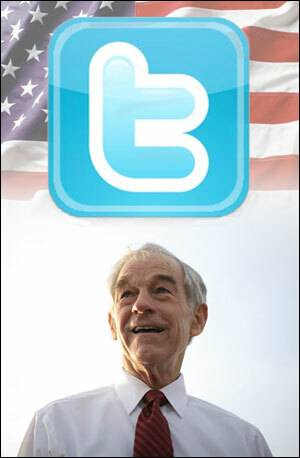 RON PAUL IS THE FIRST PRESIDENTIAL CANDIDATE TO BROADCAST HIS OWN 24/7 LIVE STREAMING CAMPAIGN ACTIVITIES TV ONLINE !!! BLACK THIS OUT !!!!! 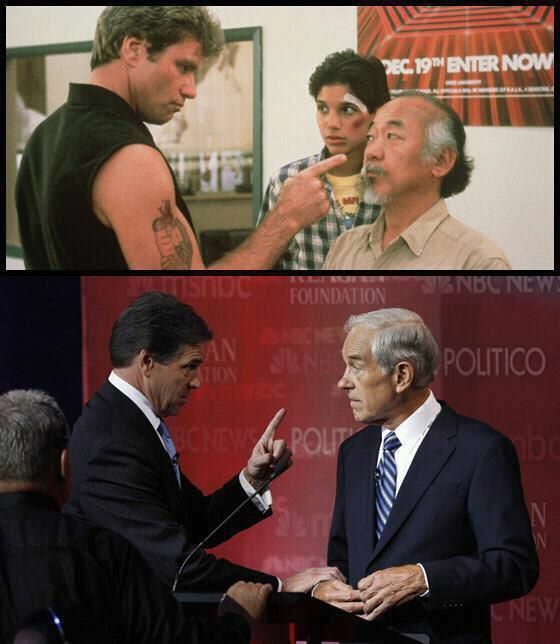 THE MASS MEDIA MANIPULATIONS BIAS SPIN AGENDAS PROPAGANDA !!!! 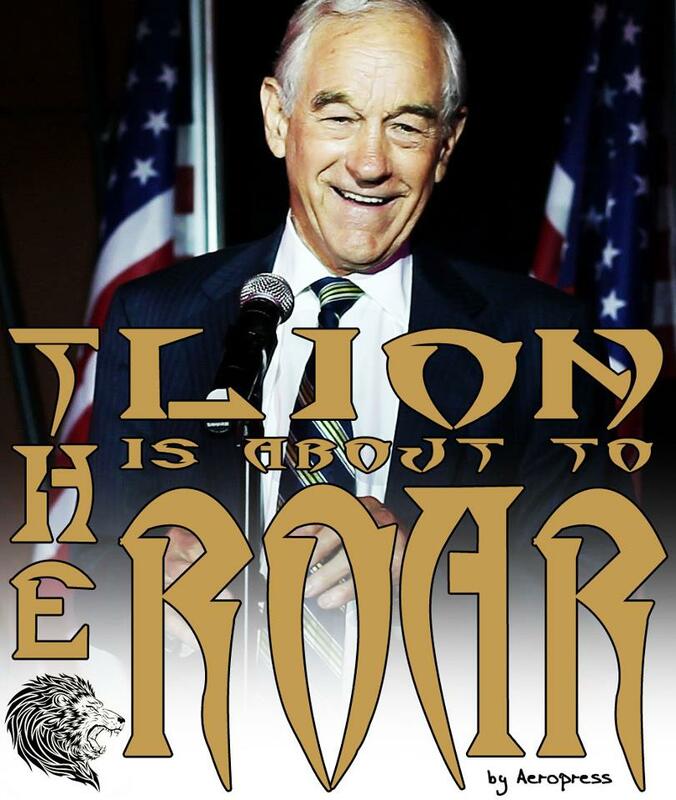 END THE FED & IRS !!! 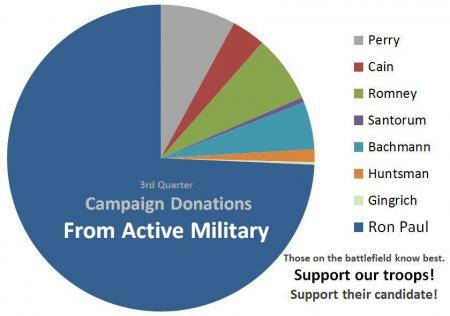 END THE WARS !!! 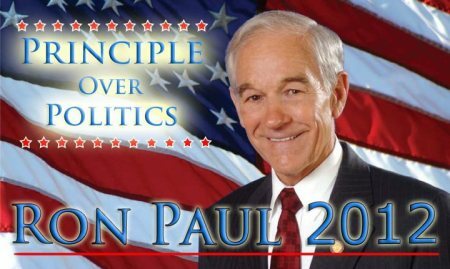 LINK – RON PAUL TV 24/7 LIVE STREAMING NOW !!!! 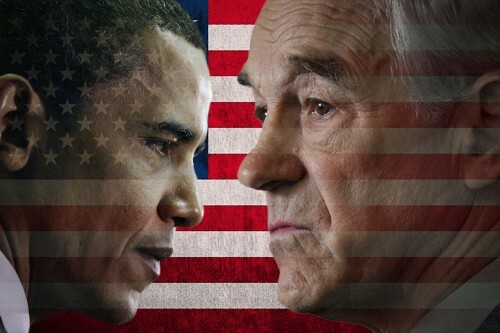 Ron Paul – The Movie !!!! 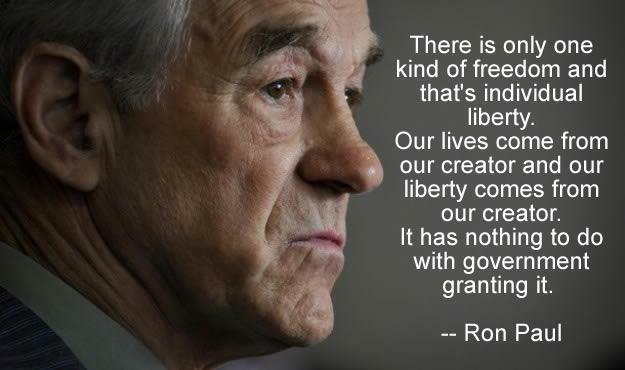 Ron Paul – For Liberty !!! 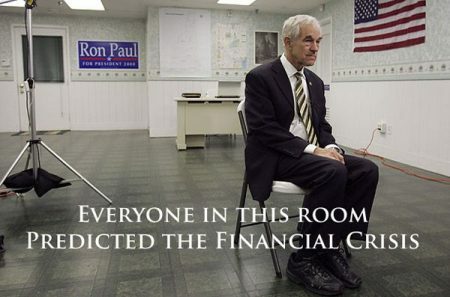 Visit http://RonPaulFilm.com for the new 60 minute Re-cut version, made specifically for handouts! Available in bulk. 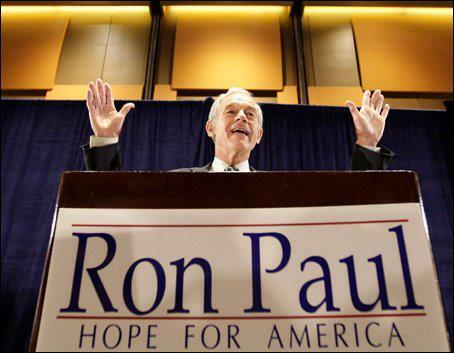 As the 2007-08 presidential campaign cycle offered up the usual slate of Washington insiders, Ron Paul, an obscure Congressman from Texas brought an alternative voice that challenged the political establishment. 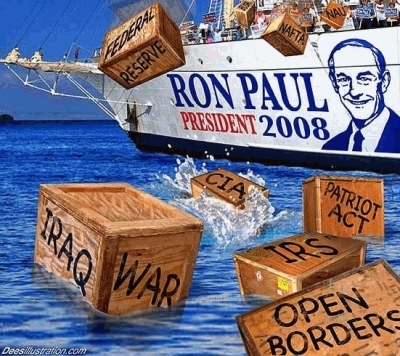 Advocating a philosophy of sound money, a non-interventionist foreign policy, strict Constitutionalism, and individual liberty, Dr. Paul inspired a unique grassroots movement unmatched in American history – the repercussions of which continue to reverberate today and into the future of the American psyche. 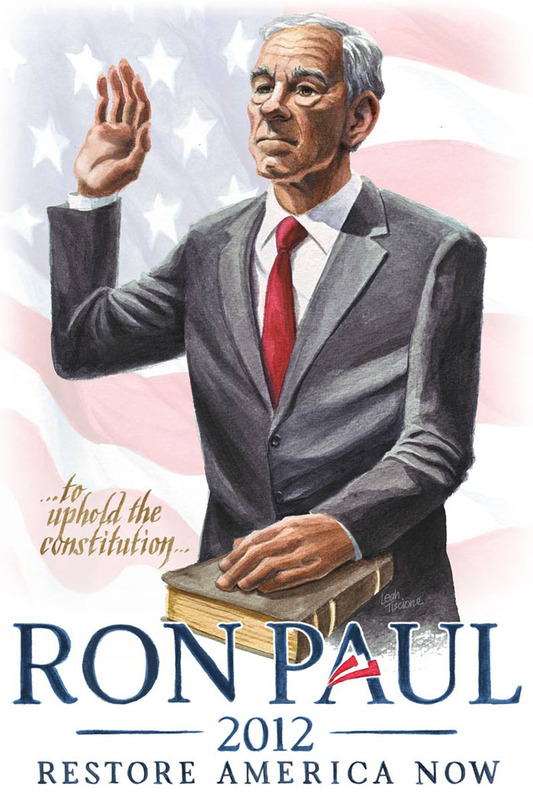 For Liberty: How the Ron Paul Revolution Watered the Withered Tree of Liberty follows this historic campaign from the perspective of grassroots activists, and showcases the unique, often bizarre, yet groundbreaking projects they undertook as they brushed aside traditional campaign methodology.